Want a fitness-minded smartwatch for your morning run that doesn’t require you to be tethered to a bulky smartphone? Timex has you covered. Today, the watch company introduced its Timex IRONMAN ONE GPS+, a water-resistant (to 50m) sports smartwatch that offers stand-alone connectivity via the AT&T wireless network. That allows the device to receive and send short messages on its 1.5” e-ink touch display, share fitness data on social networks and broadcast your GPS location to friends in case of emergency, all while on the go. The watch also has 4GB of built-in memory to store music, which you can listen to by pairing it with a set of Bluetooth headphones. Ultimately, the feature set of the $399.95 IRONMAN ONE GPS+ pales in comparison to what you’d get combining a less expensive smartwatch like the Moto 360 or LG G Watch with a fitness app and smartphone. You’re paying a rather large premium for the 3G AT&T data connection here. And while the first year of AT&T service comes free with the device, future pricing has yet to be announced, so there’s no way of telling how much this watch will cost to keep ticking in the future. 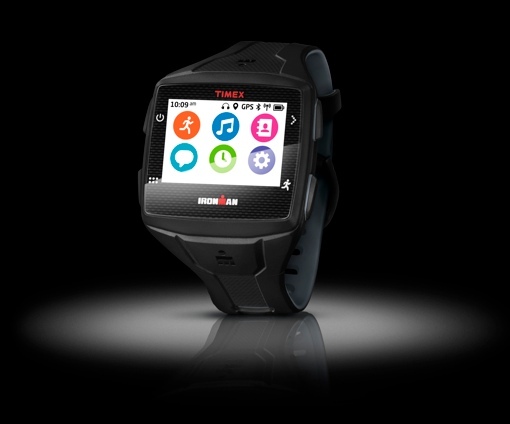 For more on the Timex IRONMAN ONE GPS+ or to pre-order yours, visit the Timex website.